Quality music is born from the soul but gifted life through the gathering of like-minded people on the dance floor, giving wings to friendship and feelings to thought. Every Saturday at Exchange LA, good music and good memories bloom. This is the Inception of something beautiful. Saturday, June 18th, 2016, Insomniac presents Inception feat. 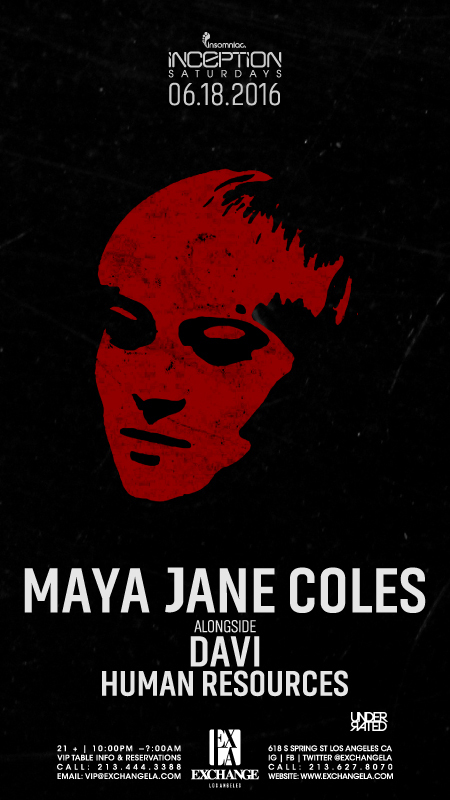 Maya Jane Coles.